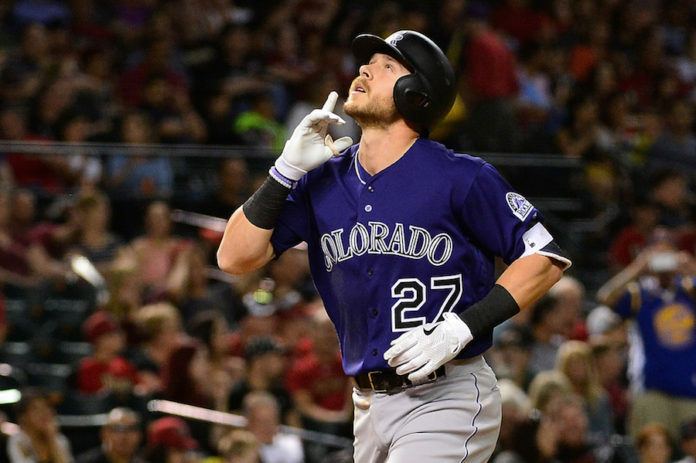 Rockies rookie phenom Trevor Story is out for season, and the shortstop’s injury displaces a cog in the machine that currently has the Rox three games out of the second wild card spot. If the Rockies are an assembly line, Story’s injury is a mechanical malfunction — a big one. 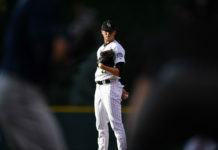 Weiss may be the Henry Ford of the currently well-oiled Rockies, but perhaps the biggest broken part on the line, Story’s absence is a major cause for concern. Story hit .272 this year with 27 home runs before going down with a torn ligament in his thumb. He was sixth in the National League in slugging percentage (.567), runs scored (67), runs batted in (72) and extra base hits (52); he’s second in home runs (27) and seventh in total bases (211). Story is also third among NL rookies in doubles (21) and second in triples (4). Story went 7-16 with a home run and three RBI during a four-game win streak in June that saw the Rockies elevate to second in the division. 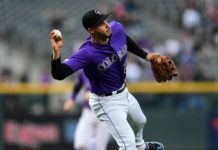 The Rockies had a chance to bring in more power, but opted to remain silent at Monday’s trade deadline. If this machine wants to roll through to the postseason — a phenomenon that MLB reports has a two percent chance of happening — they’ll need to oil up another asset capable of doing what Story has done in his first season as a major leaguer.